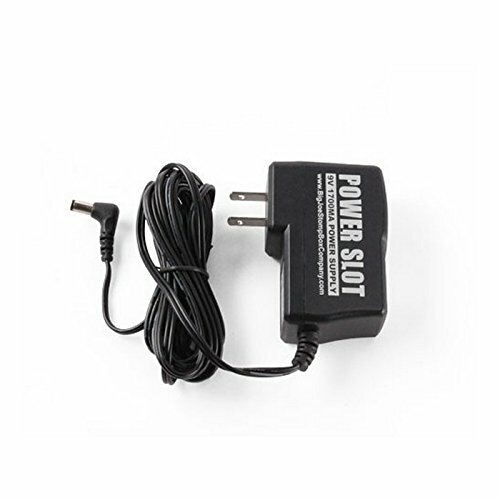 The Power Slot 9V Regulated, 1700mA power supply gives you all the power you need to power your pedal board or multiple effects from a single power outlet. No need for individual wall wart power supplies for each pedal. The Power Slot powers them all. The Power Slots patented circuit design helps eliminates hum and provides an extremely low noise power source no matter how many pedals are engaged. The power cable also automatically converts any input voltage to 9 V DC, allowing the Power Slot power supply to be used anywhere around the world. Built to last, the Power Slot is a inexpensive, one slot, power solution for all your pedal power requirements. If you have any questions about this product by Big Joe Stomp Box Company, contact us by completing and submitting the form below. If you are looking for a specif part number, please include it with your message.